Crowned beggar-ticks is a native species of marshes and wetland margins. It is absent from northern New England. 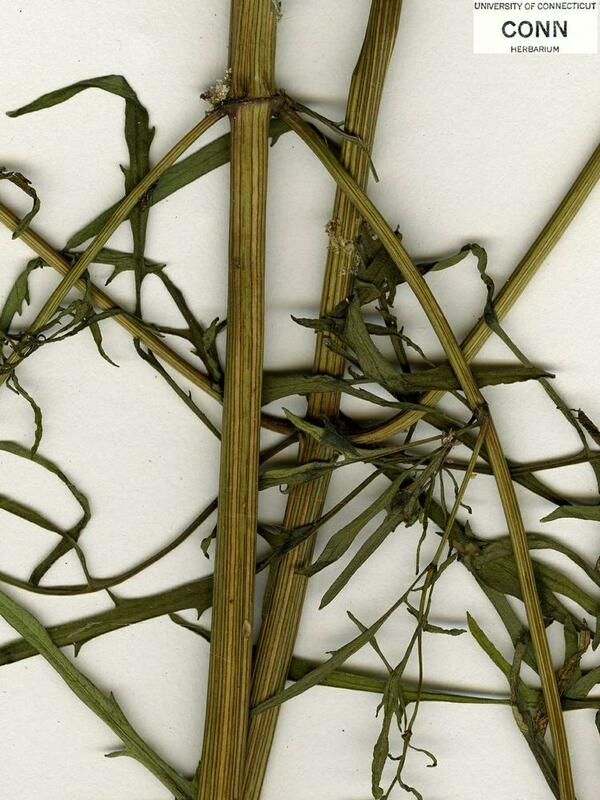 The Seminole used the whole plant internally and externally as an analgesic, febrifuge and an eye medicine. body of cypsela obovate to elliptic-obovate in outline, mostly 1.5-2 times as long as wide, 2.5-5.2 mm wide, and antrorsely ciliate and often erose-notched on the margin, and peduncles pubescent (vs. B. trichosperma, with body of cypsela narrow-oblanceolate to cuneate-oblong in outline, 2.5-4 times as long as wide, 0.9-2.5 mm wide, and antrorsely ciliate on the margin, and peduncles glabrous). 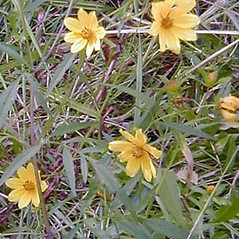 Bidens coronata (L.) Britt. var. 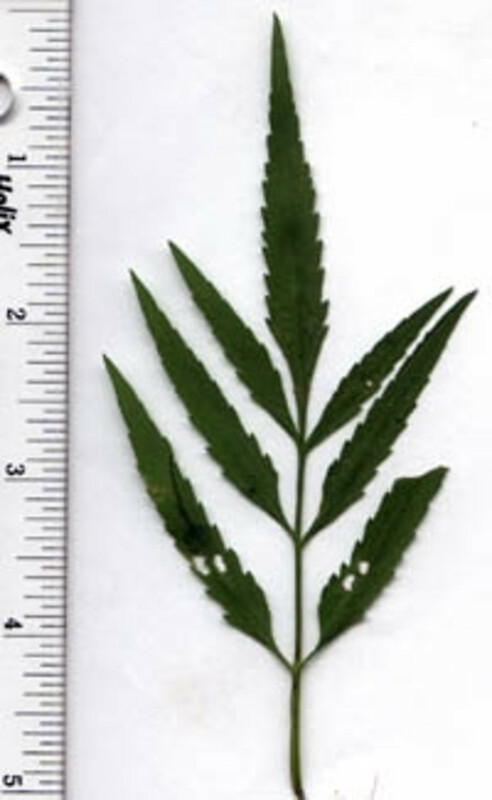 brachyodonta Fern. 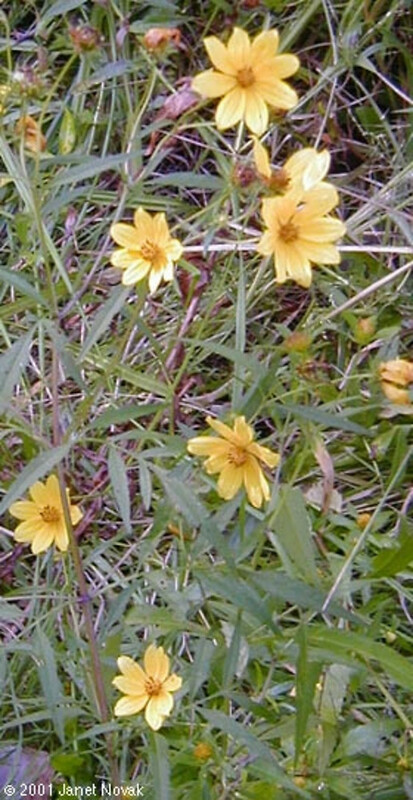 Bidens coronata (L.) Britt. var. 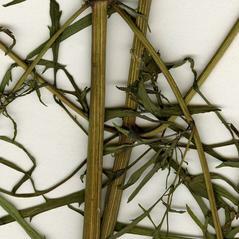 trichosperma (Michx.) Fern. crowned beggar-ticks. 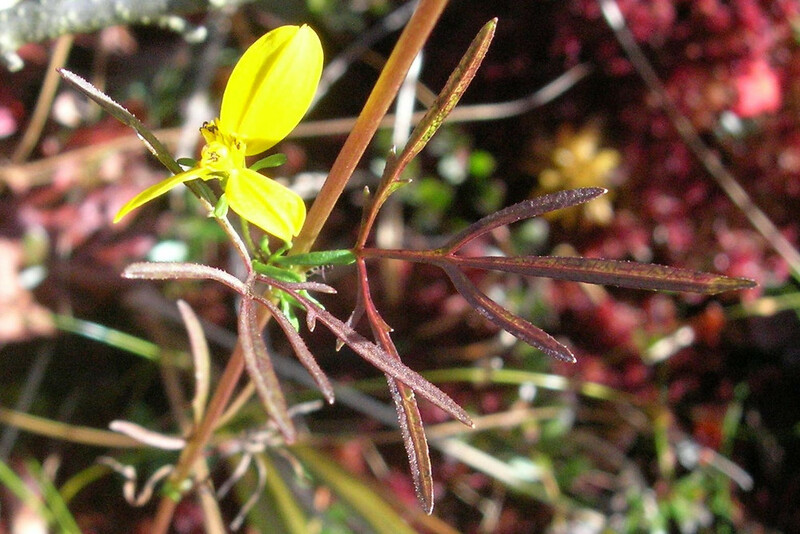 Bidens coronata (L.) Britt. ; B. coronata (L.) Britt. var. 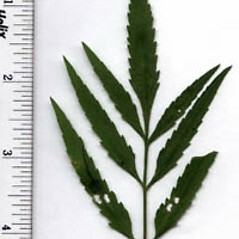 brachyodonta Fern. 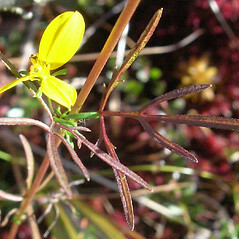 ; B. coronata (L.) Britt. var. tenuiloba (Gray) Sherff; B. coronata (L.) Britt. var. trichosperma (Michx.) Fern. 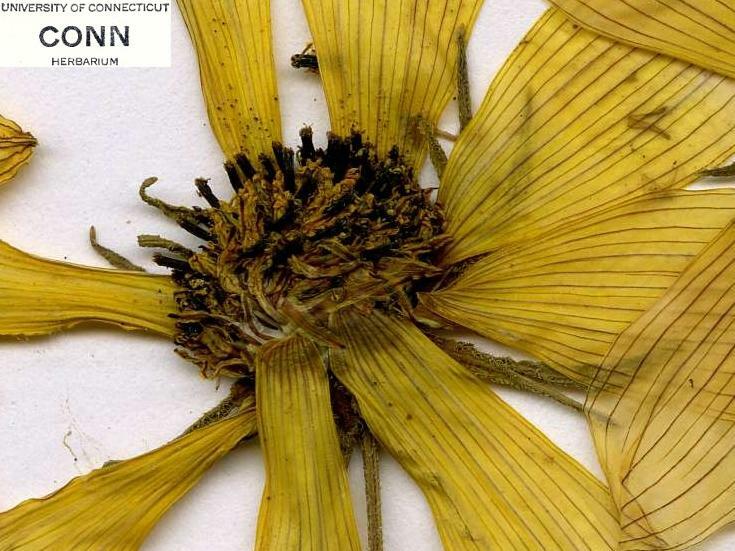 • CT, MA, RI. Low meadows, shorelines, wet ditches, margins of swamps. 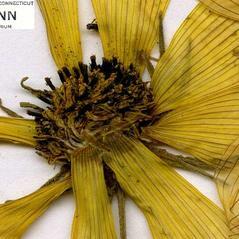 Bidens coronata (L.) Britt., the name long used for this plant, is a homonym and, therefore, illegitimate.